Adam is a highly regarded practitioner and author who specialises in the law relating to the commercial application of intellectual property in both private and public organisation settings. 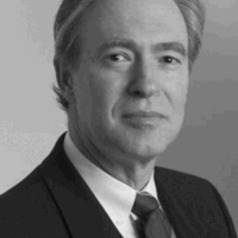 He has over 30 years experience, in which he has advised a wide spectrum of parties involved in the innovation process, including research institutes, universities, spin out companies, co-operative research centre participants, venture capitalists, investment banks, SMEs, large Australian corporate and multinational companies. He has developed and teaches the subjects of “IP Licensing & Commercialisation”, “IP Strategy & Management” and “Commercial Transactions involving IP” for the Graduate Diploma in Applied Intellectual Property and the Innovation Law stream of the LL.M at UNSW. He has given numerous presentations on intellectual property, its management, licensing and commercialisation at the request of organisations such as the Australian Graduate School of Management, the World Intellectual Property Organisation, IP Australia and the Australian Business Foundation and around the world. He is a company director.